In this edition of the woodworking tip of the week, I will cover how to save money on wood glue. All woodworkers need wood glue. Other than wood, this is the only other thing that is on just about every single project. Like anything, when you buy in bulk, you save. I use Titebond Original wood glue for all of my wood to wood joints. This has been my go-to glue since I found it in my father’s shop as a kid. It has always been good to me, and I never worry about my projects falling apart. I used to buy glue in the 16 ounce bottle. This is the medium size that most woodworkers use in their shops. This can be anywhere from $8-$10 depending on where you buy. Now, I buy the gallon size, which only costs $15-$20. For the same price as half a gallon, you get a full gallon, and you save money on wood glue. The only thing you will need to buy is a small plastic glue bottle, which are typically a few dollars. I have a couple of these around the shop, and I fill them with wood glue from the gallon as needed. Not only is it smaller and easier to work with, but the small nozzle lets me get glue anywhere I need it. It also dispenses fast, so it still works for larger projects. You can buy these small bottles (like in the picture) from any woodworking store, or online. This way to save money on wood glue is the woodworking tip of the week. It may sound simple, but most people don’t look at the gallon price. I know I didn’t. I saw that the medium bottle was $10, so I just figured that the gallon would be closer to $40. That was wrong, and now I save money on wood glue by buying a gallon at a time. Woodworkers go through glue very quickly. Buying a gallon at a time will help you save money in the shop. 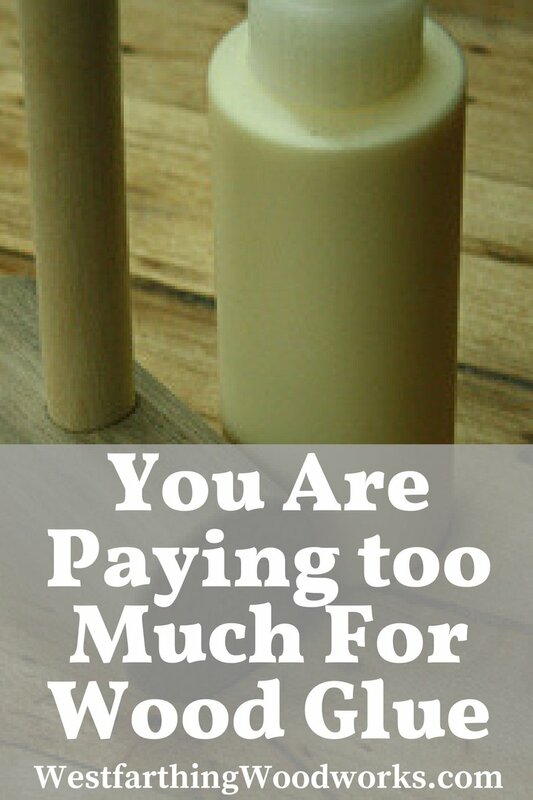 If you have any questions on How to Save Money on Wood Glue, please leave a comment and I will be glad to answer them. Also, please share my work with your friends on Pinterest! 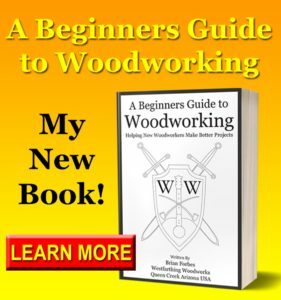 Lastly, if you like what I share, send me an email and I will add you to my woodworking newsletter. Happy building!